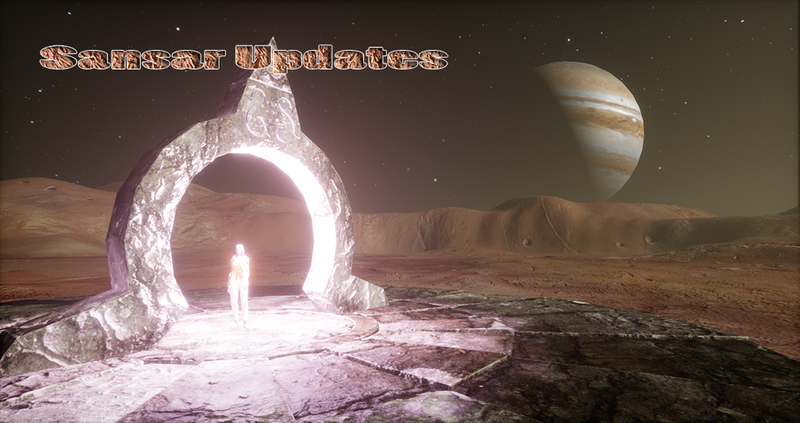 They published the general development roadmap (sort of): Coming Soon to Sansar – Upcoming Releases. A development roadmap lists those things that the developers actually plan to develop. The ‘map’ part denotes the order in which they will develop them. The Lindens did include that information. But, there isn’t much. Development Road Maps generally extend beyond the next two updates. I don’t really see that in this ‘map’. So, it is a short highway. One doesn’t go far before hitting the ‘under construction’ signs and finds the road closed. Following Discovery will be a ‘Friends’ update, sounds like a cross between SL’s What’s Hot, Events, better Help, and people search. Then they say… ‘more to come’. Well Duh! OK, they are spinning and doing what they can to keep interest growing… or alive. They have a difficult task and gave us what they are ready to release. The PR people and the software engineers are different… types… breeds… classes… of people. I think what we get to hear is what the PR people can pry loose. Sansar was supposed to get an update today. That has been rolled back. No exact ETA, but this week. Casual Meetings are at Spinnervale – 2pm – 3pm (PT) Monday thru Friday! Product Meetings are at 9:30 am and 4:00 pm (PT) on Friday, October 6 Spinnervale. Updates may down the system and prevent a meeting. Remember. Get there early as there is no way to assure you arrive in the right instance otherwise. You can search the atlas now. You do not have to wait for the update. In your browser enter the URL: site:atlas.sansar.com then a space and whatever text you want to search for. See How to Search… 12 Tricks. If you have the EXACT spelling of an Experience name, you can just search for that. For an example type in “Time & Space WIP” (without quotes) and the Atlas entry comes up. This shows the coming catalog of Sansar experiences will be like WordPress in that Google, Yahoo, Bing, and DuckDuckGo will provide the primary access paths. This means if one wants their experience to be found, they need to learn a bit about Search Engine Optimization and pick a smart name. High-Fidelity is an example of a really poor name choice, search-wise. It is related more to audio than virtual worlds. Sansar has many of the same name problems. But, the Linden team appears to be winning the search-wars taking a dominant position in results among searches for ‘virtual worlds’. I’m not going to try and keep up with happenings in Sansar. I’ve kind of lost interest and RL is getting busy. So, I’m challenged enough keeping up with SL. I will look now and then to see where they are and blog about the things that I find interesting. The Sansar News Blog and Sansar’s Discord channel are both good sources of news with frequent updates. Click over to Discord and signup, it’s free. Discord will want your email address and Sansar User ID to connect you to Sansar. Use the same email you used for Sansar. Do this before you click the Sansar instruction to connect to Discord. It goes smoother. Discord is a replacement for Skype and TeamSpeak. Skype can’t be replaced as it is way too popular… well, the app can be replaced. But, the signed-up user base suggests Skype has captured the market. Discord can try, but I expect it will remain a special niche application. Still pretty neat. I haven’t used Discord enough to know how well it works or to compare it to Skype. I do use Skype to talk with friends and train clients or see what is on their screen when providing support. For now, my experience with Discord is like my experience with SL’s group chat. Limited to a specific use. This entry was posted in SANSAR, Search and tagged SANSAR, Sansar Meetings. Bookmark the permalink.